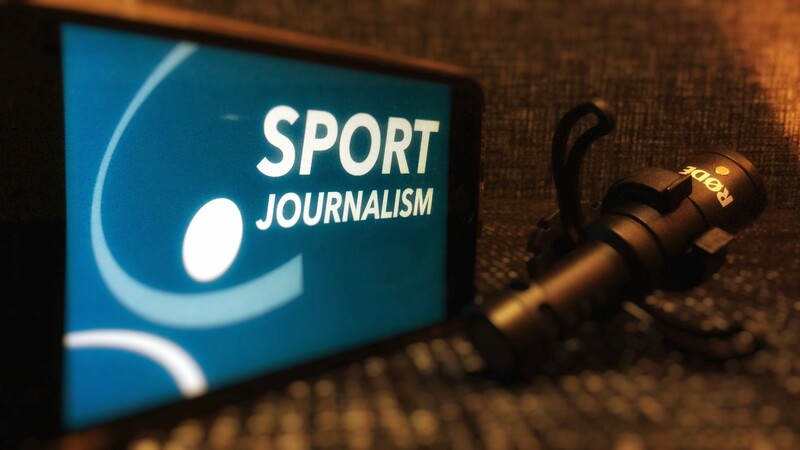 This is a great opportunity to play a major role in the development of a brand new MA programme, which aims to train and inspire a new generation of international sport journalists. The successful candidates will be forward-looking and open-minded. This programme will be delivered in English, so language skills are essential (English language tuition can be provided if needed). The positions are part time, which opens the door to suitably-qualified journalists, editors or trainers currently working as freelances or with established media organisations. Lead from the front in demonstrating and industry best practice, while exploring new digital platforms, including social media and mobile. Experience: Substantial experience in professional journalism E. Experience in sports journalism D. Teaching in Higher Education D.
Competencies: Advanced expertise in using equipment and software relevant to your journalism specialism E. High standard of written and spoken English, or commitment to achieve this (Note: English language support may be provided) E. Outstanding personal communication skills E. Excellent teamworking skills E. Very good organisational skills E.
As a contributing lecturer you will bring a wealth of professional experience to enrich the learning experience for MA Sport Journalism students. Contact time with students will depend on course requirements and your own experience, but could last from one or two hours to a full module. You will be a seasoned professional with a passion for sharing your experience with the next generation of sport journalists. Previous training or lecturing experience is desirable, but not essential. The MA Sport Journalism programme is delivered in English, but exceptions may be made for Azerbaijani-speaking professionals with the potential to make a special impact. Applications are welcomed from, but not limited to, those living and working in Azerbaijan. If you think you can contribute, get in touch! To apply, follow the guidelines in the How to Apply section at the end of this document. Why join ASAPES as a Lecturer in Sport Journalism? With Formula 1 now a regular feature of the Baku calendar and the country hosting major sporting events like the European Games and Islamic Games, Azerbaijan is emerging as a global sporting nation. International sports events need the expertise of international-class journalists, and that’s what the MA Sports Journalism programme is aiming to create. Designed from the ground up, this exciting programme is a first for Azerbaijan and for the wider region. Students will be hands on from day one, learning multimedia techniques and contributing to the programme’s own sport website. Learning modules range from online writing, radio and TV to newsroom leadership and entrepreneurial skills. The programme is conducted in English, the international language of sport, and the academy is forging a partnership with Sheffield Hallam University, one of the UK’s most respected universities for sports journalism (offering the potential for UK study opportunities). Related topics such as sport marketing and management are also included, helping to equip students with the skills to work in the mainstream media, sports PR, or as a freelance. All this in an international academy where everyone lives and breathes sport. Applications from Azerbaijani nationals residing in Azerbaijan or elsewhere are encouraged, but foreign nationals may also apply. Applicants must have a very good command of English (Note: English language teaching may be offered if required). Knowledge of Azerbaijani or Turkish would be an asset, but not essential. ASAPES is committed to diversity and equality of opportunity, and welcomes applications from those with disabilities. Applicants should provide a CV and cover letter IN ENGLISH ONLY. The cover letter should clearly, in English, state why the applicant believes he/she could make a positive impact in this role, backed up by examples and links, as appropriate. Applicants selected for interview will be asked to provide references. Applications should be sent by email, attaching CV and cover letter in English, to: recruitment@sport.edu.az Your email subject line should state: Sport Journalism Lecturer. If you wish to make an informal inquiry before applying, please contact Dan Mason. Email: dan@danmason.co.uk (in English only, please). Founded in 1930, the academy’s mission is to develop world-class coaches, managers, journalists, physical education instructors and sport medicine specialists, who are dedicated to the health and well-being of their nation, and play a leading role in developing the sport industry. Our values are integrity, teamwork, social responsibility, multiculturalism and ethical leadership.